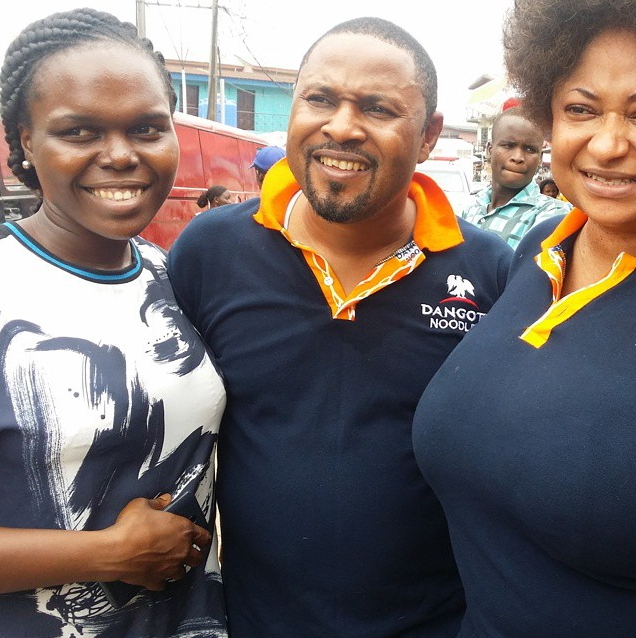 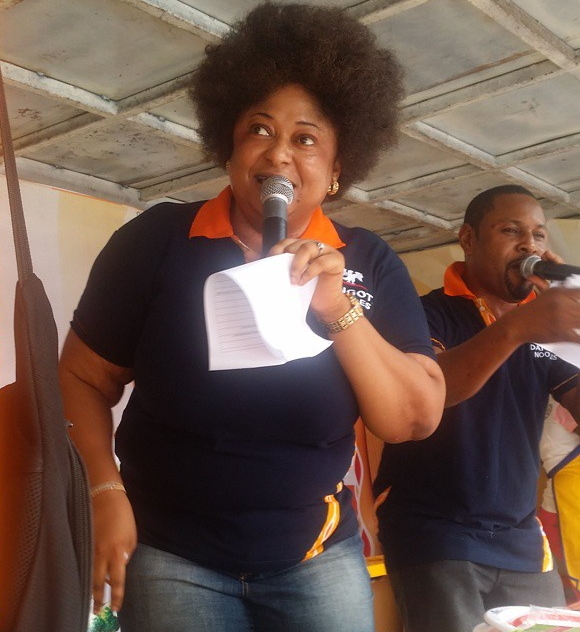 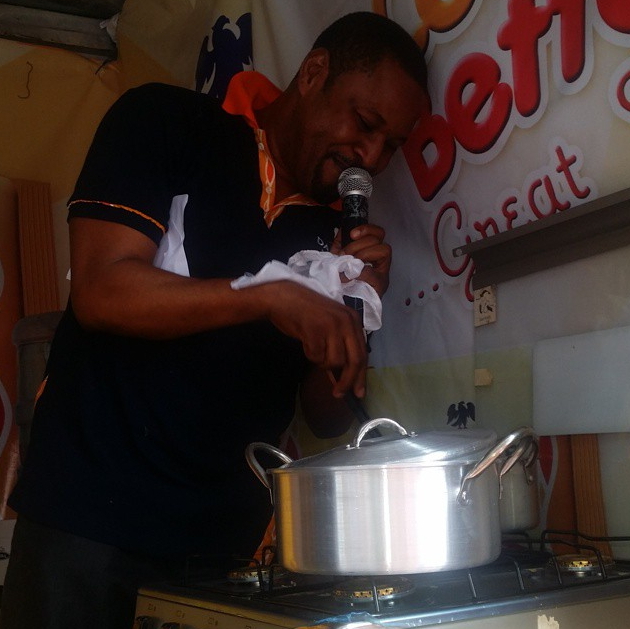 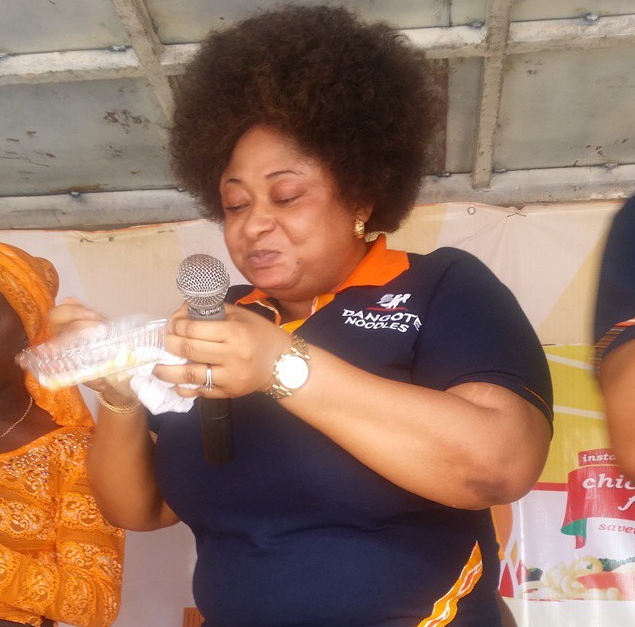 Nollywood actress Ronke Ojo alias Oshodi Oke and her colleague, Saidi Balogun took to the streets of Lagos to market Dangote Noodles last week. 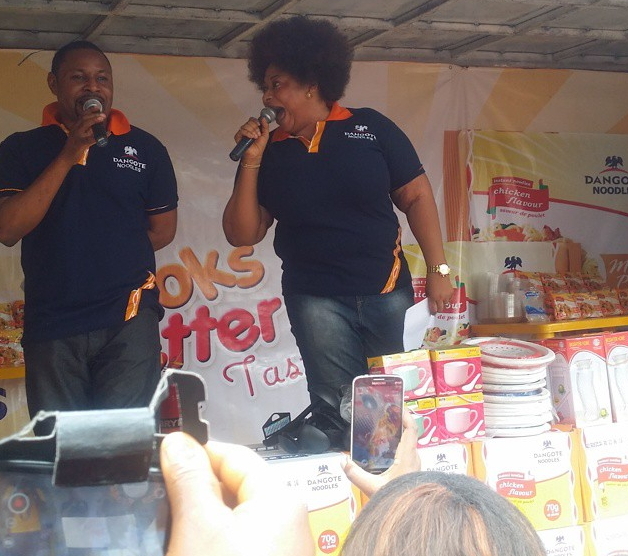 On Friday, the 26th of June, 2015, Tequila Nigeria Limited, a top marketing firm in charge of marketing new Dangote Noodles hired Saidi Balogun and Ronke Oshodi Oke to market the product at Ojuwoye market in Mushin Lagos. 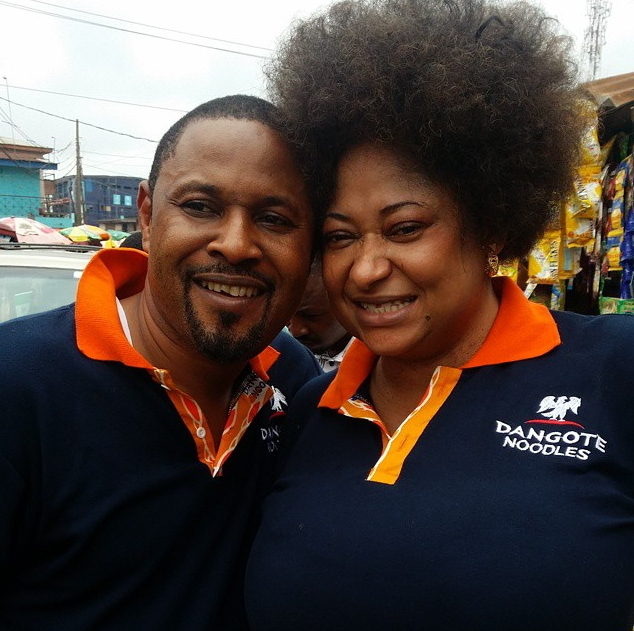 Ronke Oshodi Oke has denied the rumour that she has signed a multi million naira endorsement deal with Dangote. i STILL DO NOT UNDERSTAND WHY YOU COME ONLINE AND SAY SOMETHING LIKE THIS. 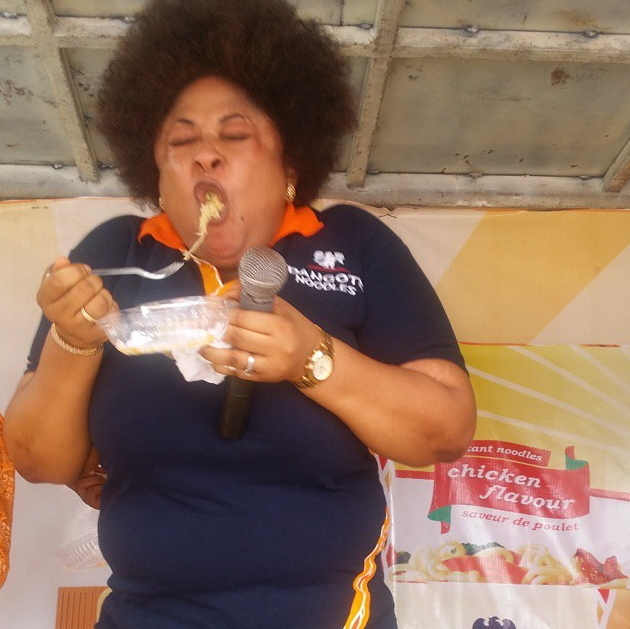 i HAVE TASTED IT AND I LIKE IT MORE THAN OTHER NOODLES IN THE MARKET.